I created KGC as I saw a need for truly, unconflicted and practical consulting! As the Founder of KGC, Kim’s main objective was to create a business wholly focused on its clients and delivering the right solution for them. True independence and extensive research is KGC’s foundation. Prior to creating KGC, Kim’s career spanned working with a number of single and large multi-employer schemes and a global consultancy. 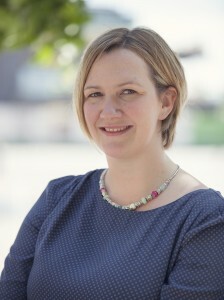 Kim has extensive knowledge and experience of pensions and the wider industry. Kim designed the structured research framework which supports our Benchmarking & Market Reviews. She created the KGC Scheme MOT for our Process & Relationship Management service and the KGC FM Framework© for our Fiduciary Management Governance service. Kim is a Business graduate, a Fellow of the PMI and TPAS and holds a Diploma in Business Excellence. Kim is a Director and Deputy Chair of PASA. She has acted as subject specialist to TPR and has been a key participant in TPR’s stakeholder panels on DC and master trusts. I joined KGC because I knew from first-hand experience their extensive research into providers – they kicked the tyres. Lesley joined KGC in 2012 enticed by our reputation for providing services based upon independence, research, expertise and knowledge. Previously, Lesley gained a holistic insight into the market from a provider view in the areas of pensions systems, services and investment management. Lesley’s DC expertise has been instrumental in our DC Consulting service, ensuring the appropriate due diligence is carried out and our clients remain compliant. Lesley’s overarching view of the pensions industry offers a different perspective to our Benchmarking & Market Reviews and Management Consulting service. 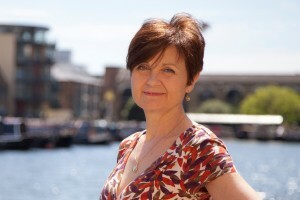 Lesley holds a Masters in Economic and Social History and is also a Chartered Marketeer. Lesley is currently Vice President of the PMI, as a DC specialist, Lesley has been involved in consultations with TPR, the DWP and represented the PMI in discussions with the Office of Fair Trading on charges. I joined KGC because I saw it had the potential to stretch my horizons and it looked fun. Hayley has been with KGC since 2008, attracted by the opportunity to develop a career in financial services. In the last nine years Hayley has taken over responsibility for the creation and maintenance of the market research data base. These research capabilities and analytical skills are key to all of our services. Part of Hayley’s role is the production of KGC’s annual Administration and Actuarial Surveys, which are now in their eighth year. Hayley has completed the PMI RPC exam and TPR’s Trustee Knowledge & Understanding Toolkit. Joining KGC was an opportunity to make use of the experience I had gained in a different way and I loved the idea of being part of such a friendly committed team. Lucy joined KGC in 2014, the flexibility of working with KGC coupled with the opportunity it presented to use her skill sets in a different way and develop her experience of working from a client perspective, was appealing. Lucy has over 10 years’ experience in administration ranging from pure administration delivery through to broad oversight as an Administration Manager. 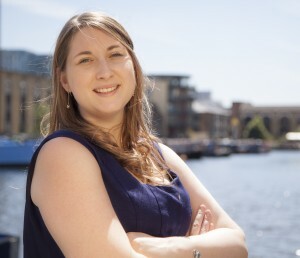 Lucy has also carried out an oversight role at an investment house, monitoring the relationship with a TPA, including root cause analysis and implementing and facilitating change management. Lucy’s meticulous eye for detail ensures nothing is missed, this is particular useful when we are conducting a Scheme MOT or Trustee Effectiveness exercise. Lucy is a Diploma Member of the PMI.